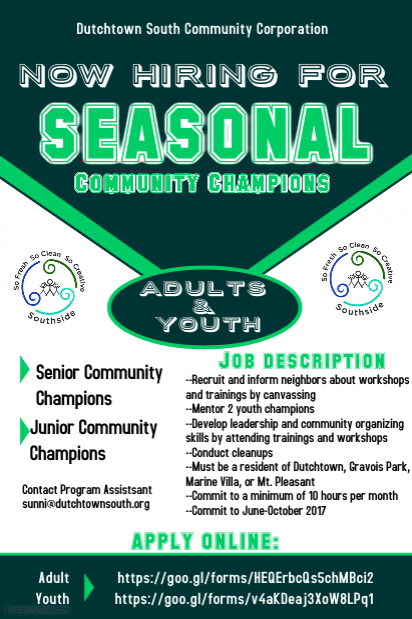 The Dutchtown South Community Corporation is seeking Junior and Senior Community Champions to help get the word out about their So Fresh, So Clean, So Creative Southside initiative to raise awareness and address solid waste concerns. Community Champions will canvass the neighborhood to inform and recruit neighbors for trainings and workshops and conduct neighborhood cleanups. Read more news about Dutchtown and So Fresh So Clean So Creative.